In 2018, Guangzhou Airport was the third busiest airport in China. 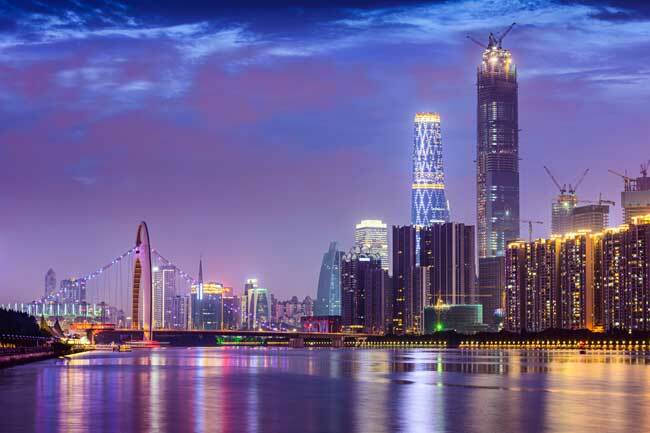 Guangzhou is the main and most populous city of Guangdong province in China. 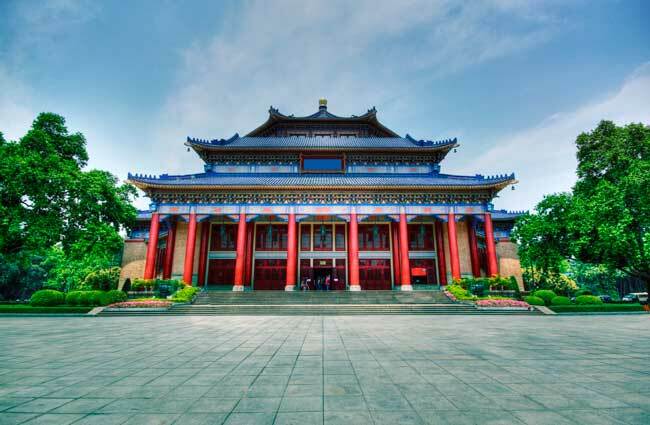 Sun Yat-Sen Memorial Hall is one of the most recognizable landmarks of Guangzhou. Guangzhou Airport, also known as Guangzhou Baiyun International Airport (IATA: CAN, ICAO: ZGGG), is the main airport serving Guangzhou city, the capital of Guangdong province. It is located 28 kilometers north of Guangzhou city center, in Baiyun and Handu District. It is China’s largest transport hub. Guangzhou Airport is a hub for China Southern Airlines, 9 Air, Shenzhen Airlines and Hainan Airlines. In 2018, Guangzhou Airport was the third busiest airport in China and the 13th busiest airport in the world, serving over 69 million passengers. Top 10 busiest international routes from Guangzhou Airport are Bangkok, Singapore, Kuala Lumpur, Seoul, Ho Chi Minh City, Phnom Penh, Manila, Dubai, Tokyo and Taipei. Guangzhou Airport handled 69,730,000 passengers in 2018. Terminal 1 serves both domestic and international flights. Terminal 2 stands for the new terminal at Guangzhou Airport. It serves international and domestic flights operated by China Southern Airlines and its partners. Train: There is no connection with the railway network from Guangzhou Airport. Airport Express Bus: 5 routes to Guangzhou city. Taxi: Get to Guangzhou city centre within 25 minutes. Car rental: Hire a car through our search engine or in Guangzhou Airport Terminals. 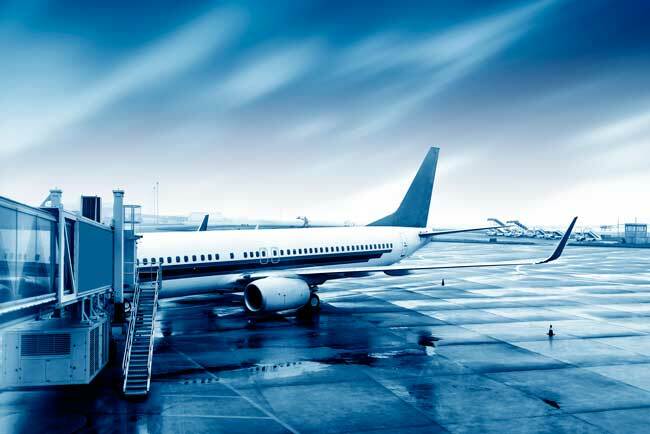 Check more information regarding Transportation at Guangzhou Airport here. Guangzhou, which is also known as Canton, is the main and most populous city of Guangdong province, located in southern China. Its emplacement is the Pearl River, 120 km away of Hong Kong and 145 km north of Macau. Guangzhou is also famous for its over 2,200 years’ history and for being a major maritime point of the Silk Road. The city not only attracts tourists for its history and landmarks, it is also a business destination due to the Canton Trade Fair, which is celebrated every spring and autumn. Some of its most recognizable landmarks are Sun Yat-sen Memorial Hall, the Museum of the Nanyue King Mausoleum, Temple of the Six Banyan Trees, the Huangpu Military Academy, the Museum of the Nanyue King Mausoleum and Chime Long Safari Park.